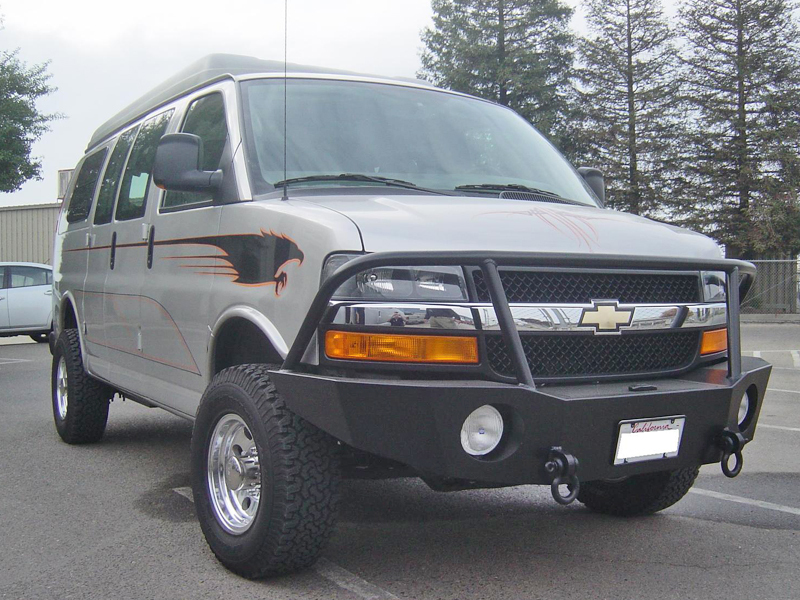 Aluminess designed the front winch bumper for the 2003-2018 Chevy Express Van to look good and perform even better. 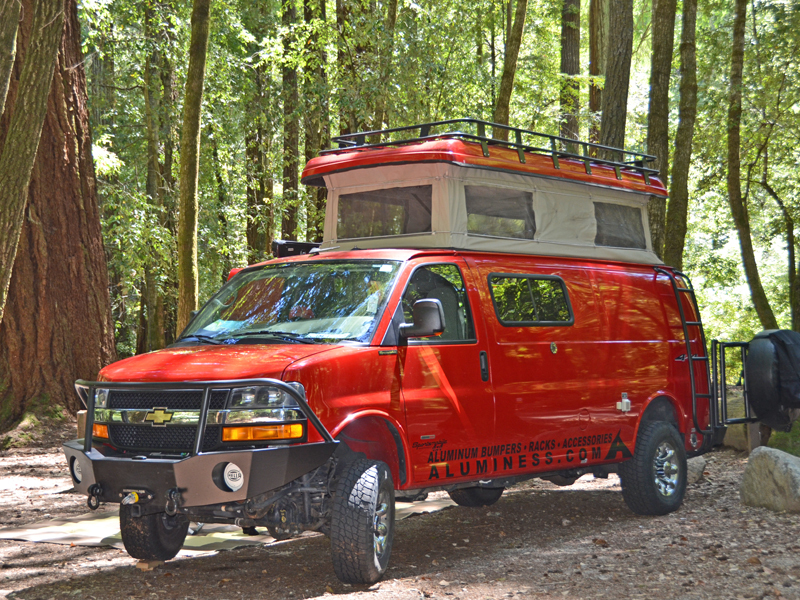 The all-aluminum construction weighs just 85 pounds, so there is no need to worry about brakes, suspension, steering, and/or tires wearing out prematurely. 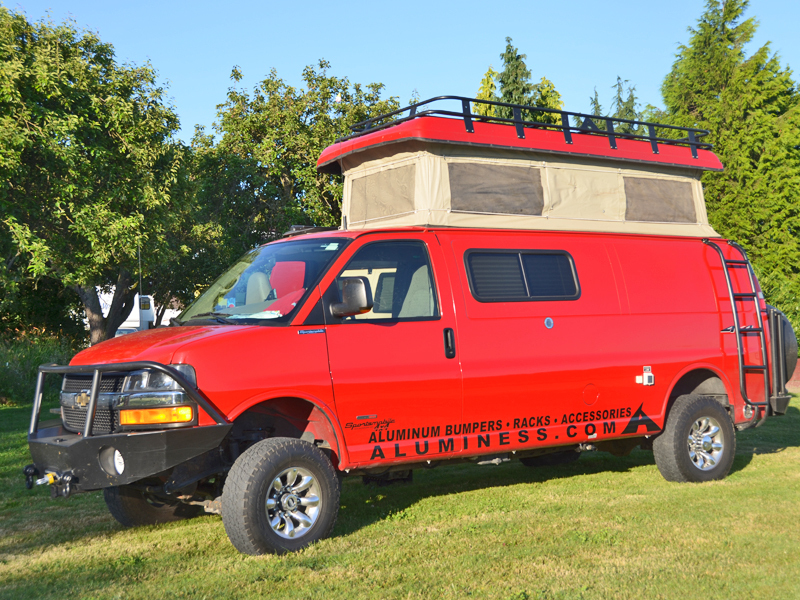 Aluminum also doesn’t rust, so your Aluminess bumper will hold up even in salty environments. 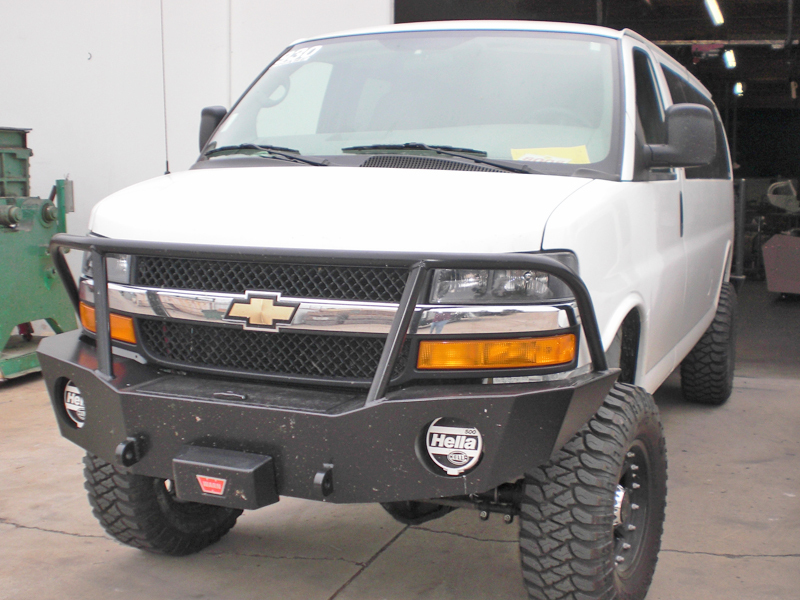 The 2003-Current Chevy Express front bumper will hold a Warn M12000 or 16.5ti winch and is powder coated black. 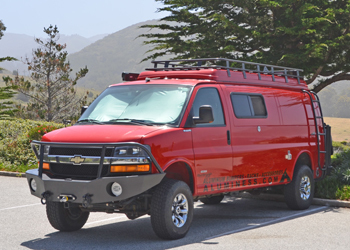 If you don’t run a winch, the bumper has a lockable storage compartment to hold tire chains, tow straps, and many other parts you don’t want cluttering up your van. Aluminess builds shackle mounts into all of their front bumpers to accept a shackle with 7/8″ pin. 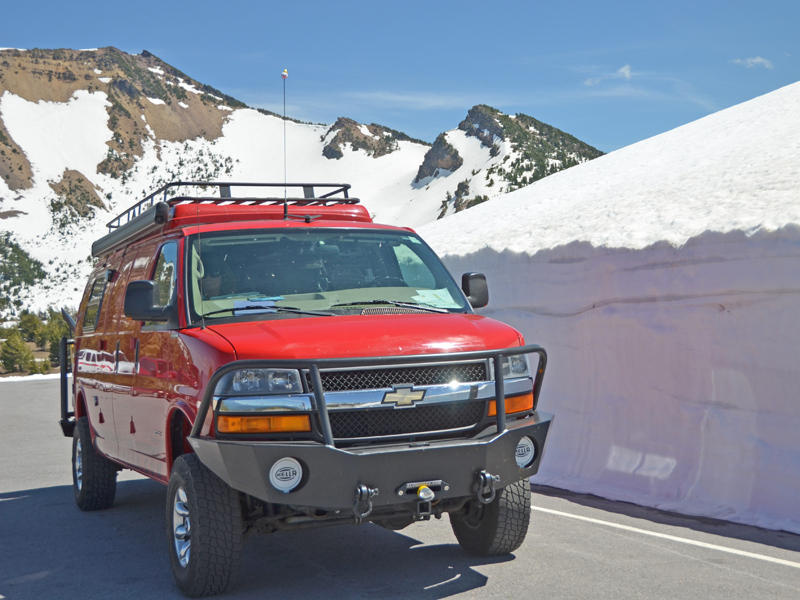 Whether you want to tackle the toughest trail or protect your rig against pesky wildlife, our bumper is sure to get the job done.